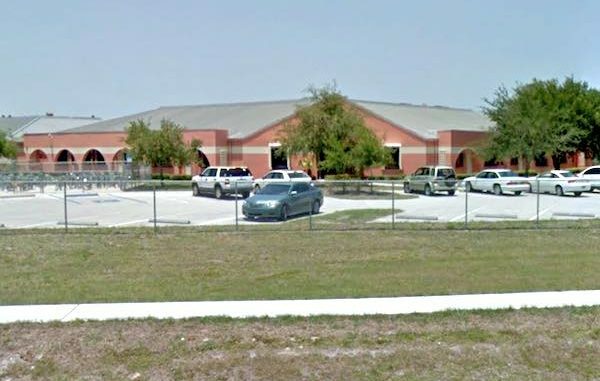 An 8th grader was arrested after punching a teacher at the Oslo Middle School in Vero Beach. VERO BEACH – The Indian River County Sheriff’s Office arrested a 14-year-old at the Oslo Middle School in Vero Beach for allegedly punching a female teacher in the face. On Wednesday, at approximately 2:35 p.m., a deputy at the Vero Beach school heard that assistance was needed in the 8th-grade wing room 707, according to the sheriff’s office. When the deputy entered, they saw a male teacher trying to detain the teen, who was trying to escape. The deputy and the assistant principal ordered the teen to calm down, but he refused. According to the sheriff’s office, the teen was causing a disturbance, and that the deputy had to take the teen to the ground. While on the ground, the 8th grader pushed the deputy and tried to get away from him. The deputy was forced to use his taser before he was able to place him in handcuffs. The teen then tried to pull away several times from the deputy and yelled obscenities while being escorted to the office. The female teacher told the deputy that she was trying to keep the teen away from another student who was involved in an altercation when he walked up and punched her in the face. The Vero Beach teen faces charges of battery on school personnel and resisting arrest without violence.